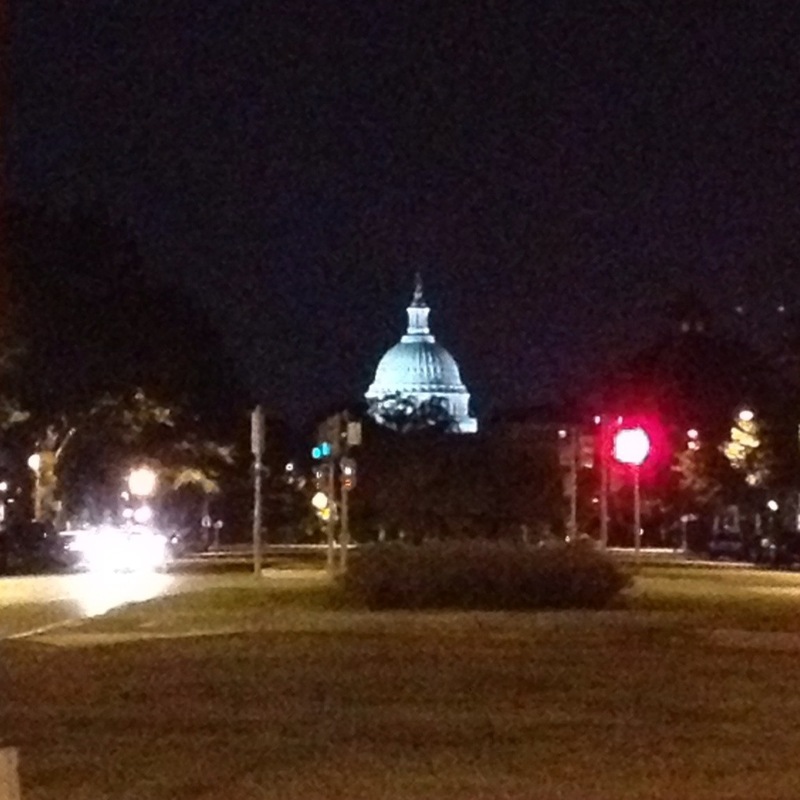 Tonight, however, it looked like this. 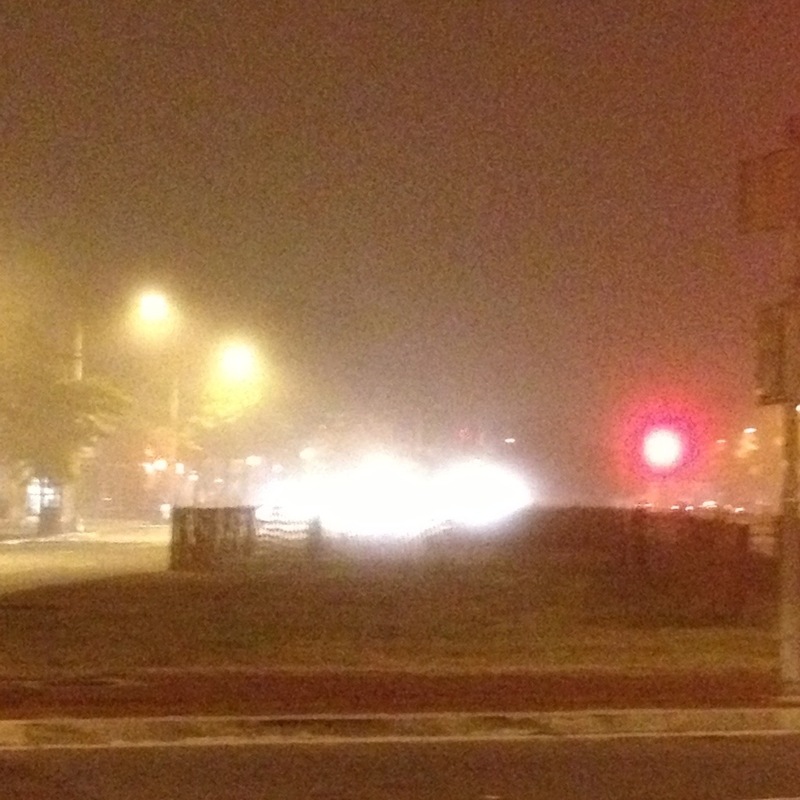 It’s nights like this that make it clear how a city can end up with a neighborhood called Foggy Bottom. I mean, that’s a lot of fog. Next Article Happy Banned Books Week! F.O.G.G.Y. — YES! I know what you mean by “a lot of fog”. That’s the way it was yesterday at Dulles before landing at 4:45 pm. You could not even see the runway approaching. You knew you were down when the wheels hit the Tarmac and again the same in Binghamton at 7 pm. And, the pilot decreed that was the last shuttle for the night, so lucky I took the earlier flight. It also made for an interesting drive down Airport Road. And, today is the same — flights in from DC and Philly are delayed or cancelled all morning. Ya can’t see across the street!